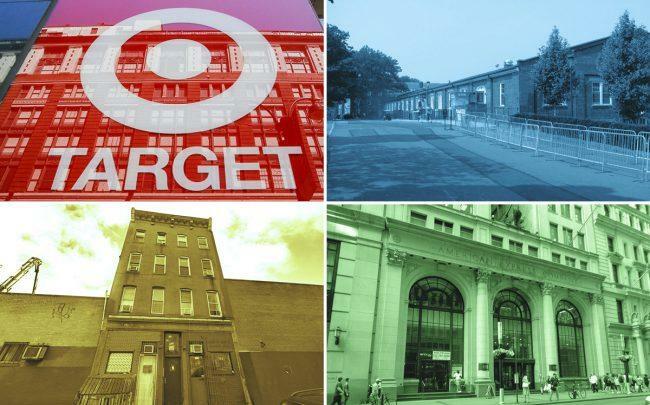 Gyms took a backseat in the retail leasing scene last month, with the largest deals being inked by department stores and clothing retailers. Restaurants brought up the rear. The 10 biggest retail lease deals signed last month totaled 194,000 square feet, up 5,900 square feet from February’s total of 188,100 square feet. The largest retail lease in March was inked in Gravesend. The total is also a step up from that of the top 10 retail leases in March of last year, which added up to about 182,800 square feet. The retailer inked a lease for 90,000 square feet of space at 8973 Bay Parkway. The space was formerly occupied by both Toys ‘R’ Us and Babies ‘R’ Us. Peter Ripka and Jeff Howard of Ripco Real Estate represented both the tenant and the landlords, Surrey Equities and Gazit Horizons. The council inked a 10-year lease for 40,000 square feet of space at 110 Andes Road. The lease marks a continued investment in Governors Island by the council, which was one of the first tenants to move there. The building’s landlord is the Trust for Governors Island. The Canadian brewery signed a 15-year lease for 16,000 square feet of space at 519 3rd Avenue, its first location in the U.S. The brewery is aiming to open in July or August. The building’s landlord is Serbijt Singh. The market inked a lease for 11,756 square feet of space at 65 Broadway. Elad Dror, Tony Park and Ethan Park of PD Properties represented the tenant while Plaza Management represented the landlord, Chetrit Group. The boutique fashion shop signed a lease for all 7,500 square feet of retail space at 1357 Flatbush Avenue. The lease represents the shop’s eighth location overall and sixth in Brooklyn. Shlomi Bagdadi, Avi Akiva and Chandler Slate of Tri State Commercial Realty represented both the tenant and the landlord, Hello Living. The stylist inked a lease for 6,300 square feet of space at 432 Park Avenue. Andrew Goldberg, Richard Hodos, Matthew Chmielecki and Joseph Hudson of CBRE represented the landlord, Macklowe Properties. Other tenants at the base of the luxury condo tower include Phillips’ auction house, which has the biggest chunk of square footage at 55,000 square feet, and a perfume company called Amaffi which just signed on for 4,000 square feet. The German kitchen design firm inked a 10-year lease for 6,050 square feet of space at 138 Greene Street. The space was formerly occupied by B&B Italia. Michael Glanzberg and Margie Sarway of Sinvin Real Estate represented both the tenant and the landlord, Ascot Properties. The Thai restaurant inked a 15-year lease for 5,765 square feet of space at 27 Cliff Street, relocating from its former outpost at 108 John Street, just down the block. James Famularo, Ben Biberaj and Dane Harlowe of Meridian Capital Group represented both the tenant and the landlord, Greenroad Capital. The luxury fitness chain which shares a founder with the Learning Annex signed a lease for 5,500 square feet of space at 9 East 16th Street. James Famularo of Meridian Capital Group represented both the tenant and the landlord, Abraham Daniels Real Estate Investors. The Japanese barbecue restaurant inked a lease for 5,159 square feet of space at 6002 Fort Hamilton Parkway. Lip Fei Jiang of Chibeca Real Estate represented the tenant while Stephen Weber of Heller Organization represented the landlord, Halcyon Management Group.